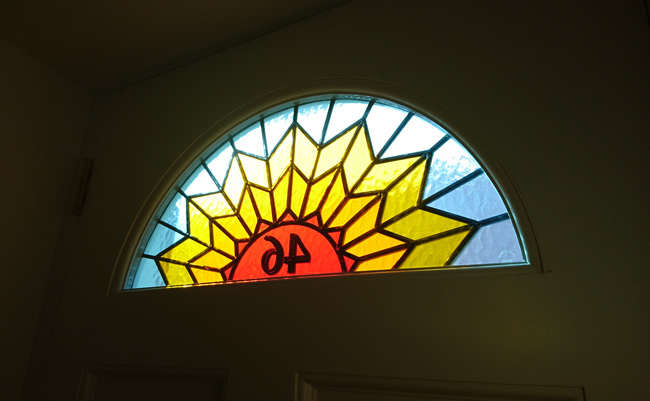 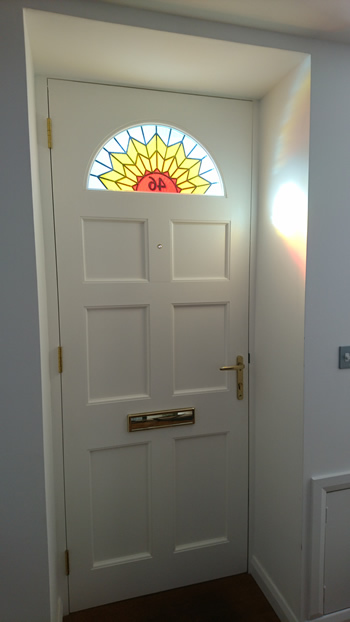 In 2017 we were asked to create this beautiful sun design with house number for a clients new door with a half moon glazed area. 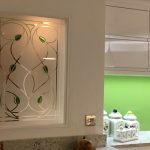 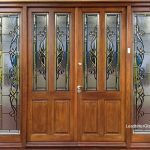 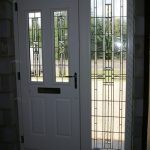 The panel was created as a double glazed unit and it was fully coloured. 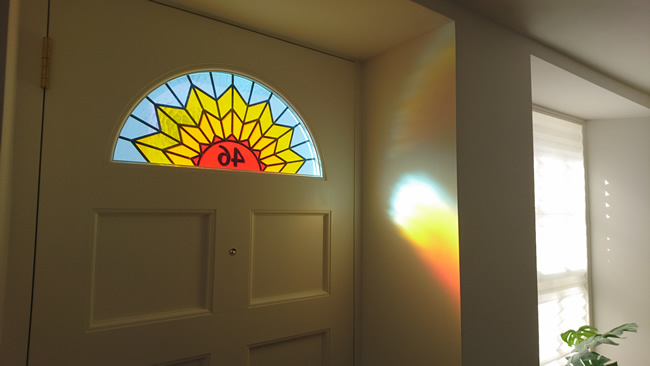 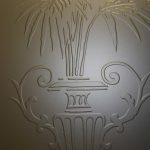 As you can see by the photos, the colours of the glass are projected onto the nearby wall when the daylight hits the door. 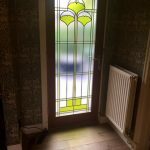 This is one of the most enjoyable experiences of owning a coloured glass. 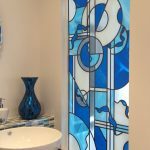 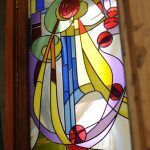 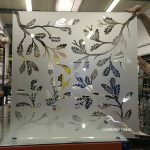 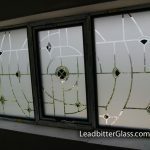 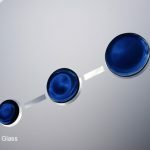 We created the glass design using Overlay Stained Glass colours and a dark lead strip.